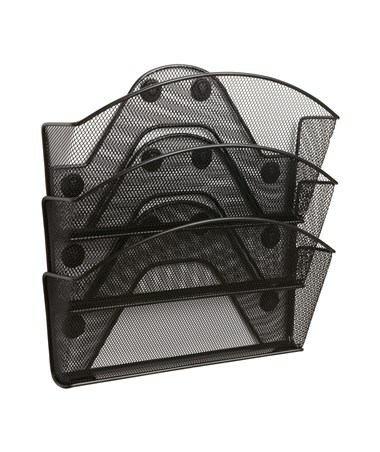 The Safco Onyx Magnetic Mesh Triple File Pocket is a stylish file organizer that mounts on walls and panels with metal surfaces. 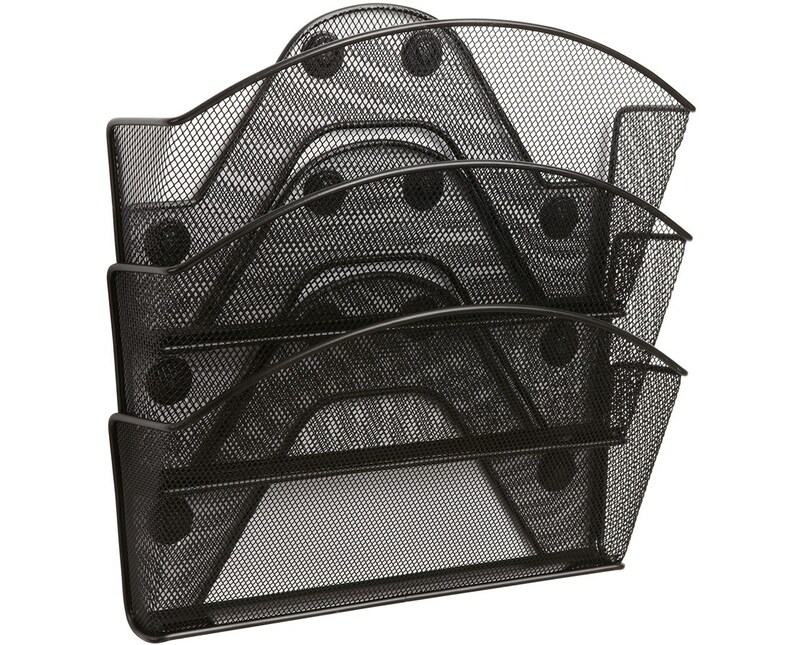 It features four heavy-duty magnets which make mounting easy. This can also be done using the steel point fasteners. 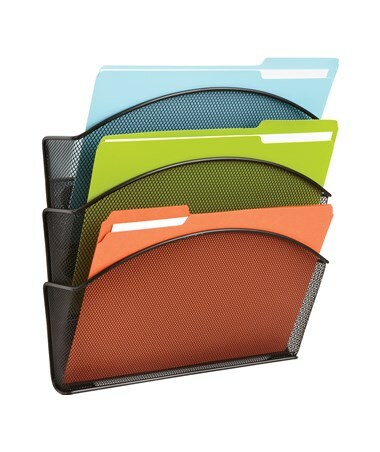 This organizer has three pockets that can fit letter-sized documents and can hold up to 1.5 pounds each. 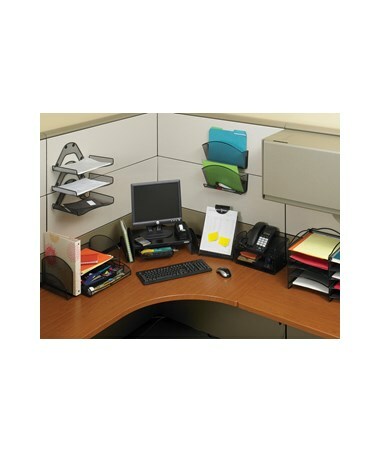 It is made of steel mesh with a powder coat finish. It is also safe for indoor use as certified by GREENGUARD. Each package comes with six units.